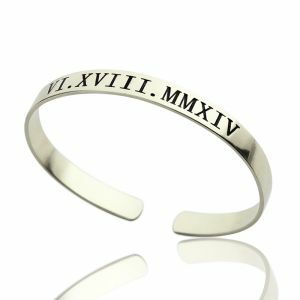 Personalized Roman Numeral Date Cuff Bangle Bracelet - This cute Roman Numeral Bangle is a lovely way to celebrate a special date. 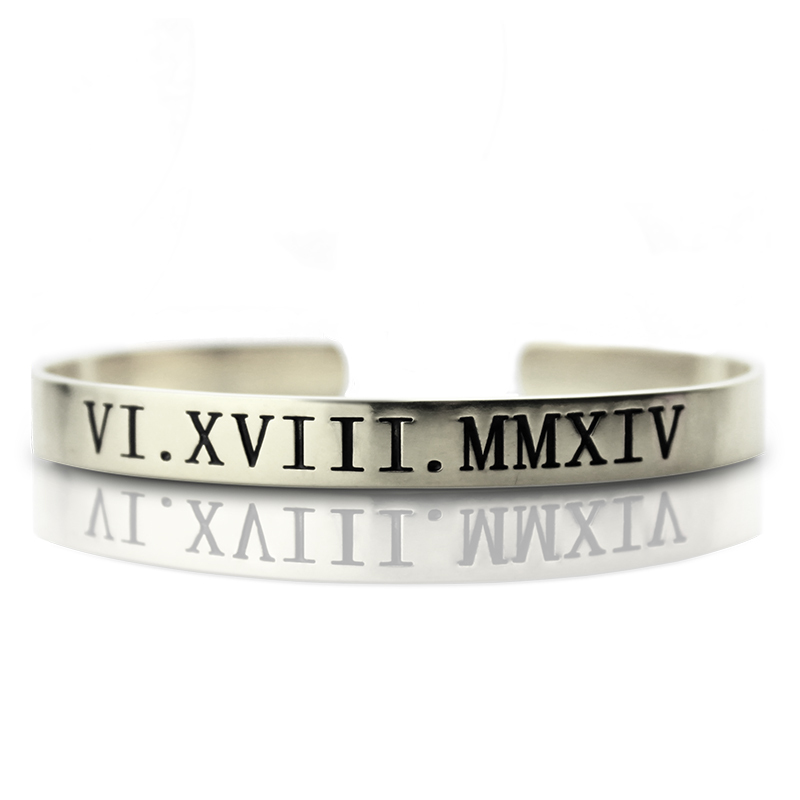 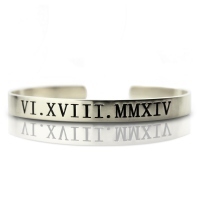 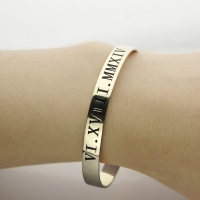 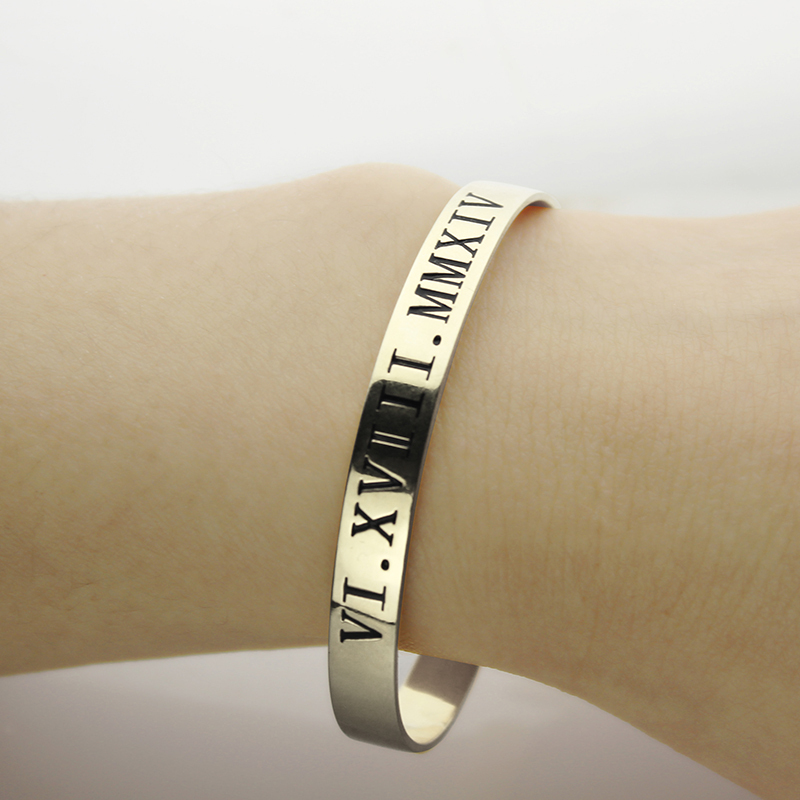 Great for a range of ages, the roman numeral bracelet is timeless. 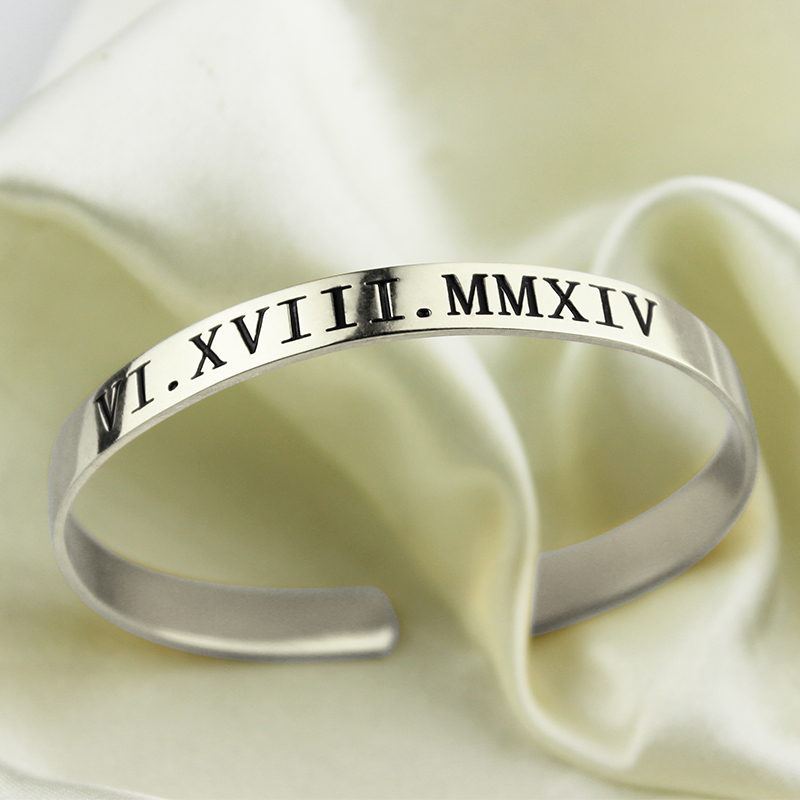 You can personalized with any date or important number for you on this charm bracelet!